Jason Schreiber, my previous co-worker at Ron Ben-Israel Cakes is offering Sugar Classes in New York City…did I mention that Martha Stewart Weddings just rated him as one of the top 63 pastry pros in America? Yeah….I am proud of him. He’s a great teacher and you will learn a lot from him in his 2-day class. 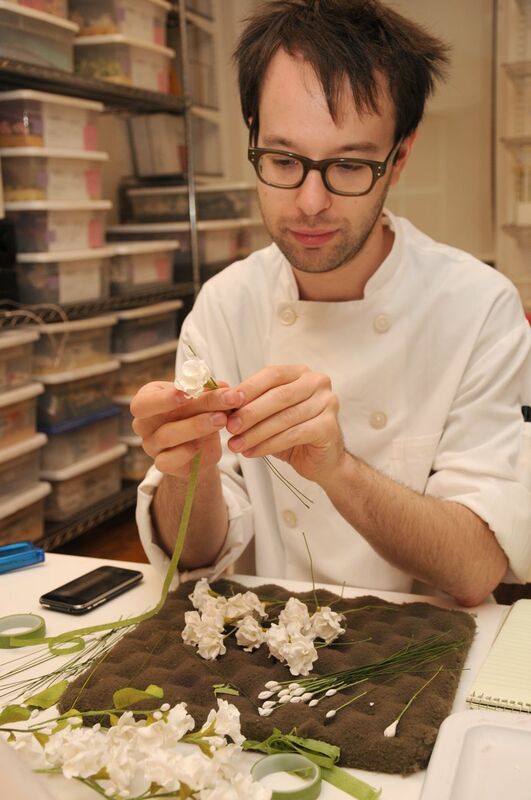 Here is Jason when we both worked at Ron Ben-Israel Cakes tying sugar flowers. Space is limited to only 12 students so sign up now!!! $600 for both days including materials for class and a light lunch. You will be learning how to shape, form, assemble and color: Open Peonies, Parrot Tulips, Ranunculus, Oncidium (Cherry Baby) Orchids, Hypericum Berries and Assorted Leaves. 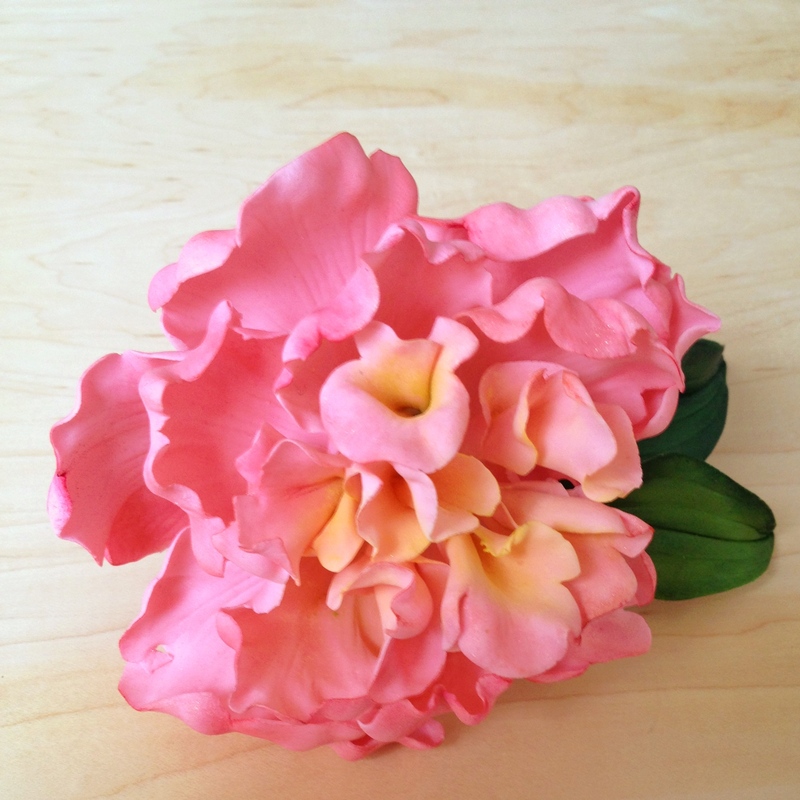 This class is appropriate for Intermediate students, no need for expert training, but familiarity with sugar paste and some basic techniques are encouraged. So if you live in NYC or want to visit in June and learn from a really great teacher click here to register!